Prior to the present owners, this vessel was owned by a marine engineer and the engine has been very well maintained. Sails are lightly used and in very good condition and the mainsail cover is recent. 10% discount on boat valeting! The Seamaster 23 is a versatile and rugged pocket cruiser, ideal as a starter boat, or for both singlehanded or family/group sailing. The lifting keel design allows for cruising in shallow waters. This is an excellent example of the Seamaster 23, having been maintained and cared for to a high standard. 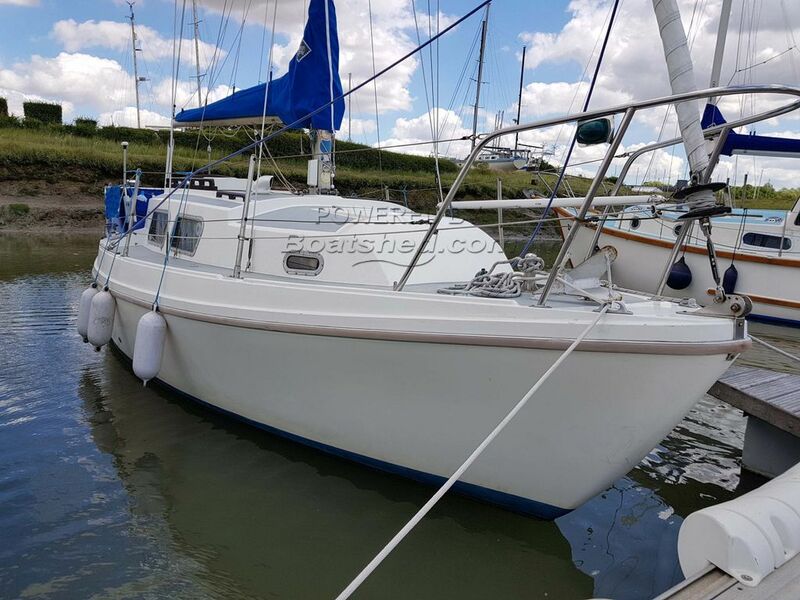 The engine is reliable and provides ample power and the sails are in lightly used condition. I was impressed with the tidy interior, which was comfortable and roomy and I noticed how, externally, the boat is also smartly presented. This boat is in commission and provides a variety of options for safe, comfortable, coastal cruising and further, when conditions allow. The boat also comes complete with new cockpit cushions, batteries replaced in 2018 and a recent, purpose made, collapsible cradle, which can fit in a car, for out of water storage. This Seamaster 23 has been personally photographed and viewed by Chris Markham of Boatshed Essex. Click here for contact details. Please note this comments section is public. Please do not post your personal details here. To enquire about purchasing this boat, please contact the broker directly at chrismarkham@boatshedessex.com. Please read our commenting guidelines before posting.